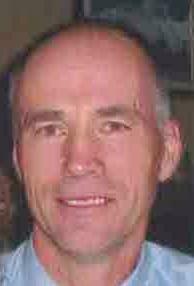 It is with great sadness that the family of Paul Kevin Boland announce his sudden passing on April 20, 2012 at the age of 54 years. He leaves to mourn with fond and loving memories his wife Linda (nee Howell), son and daughter Peter and Kate, daughters Christine Boland and Janet Bartlett of St. John’s, father Kevin Boland (Mary) of St. Johns, NL, mother Valda Boland of Ottawa, Ontario, sisters Elaine (Tom) Kennedy of Goulds, NL, Judy (Richard) Thompson of Burns Lake, AB, brothers Glen Boland of Edmonton, AB, Drexel (Susan) Boland of Logy Bay, NL, Lance (Maureen) Boland of Kelligrews, NL, David (Janet) Boland of Goulds, father and mother in law Roland and Kay Howell of Corner Brook, sister-in-law Beverly (Lewis) Genge of Etobicoke, Ontario, brother-in-law Bob Howell of Langley, BC, also a large circle of nieces, nephews, relatives and friends. Paul was Captain of the Corner Brook Detention Center, Her Majesty’s Penitentiary. He was proud of his 29 year career and his friendships developed with the Department of Justice and the total 32 years with the Provincial Government of Newfoundland and Labrador. Paul’s passion for sport, combined with his drive, energy and love of competition allowed him to excel in many sports. Paul most recently cross country skied with the Blow Me Down Club and raced in events around the province. He was a proud member of the Smith Stockley Outer Cove 1991 record setting rowing team at the Royal St. John’s Regatta. He remained active in rowing circles, competing in Masters’ competitions most recently in California in November. He obtained his 4th degree black belt in Tae Kwon Do and ran a school in Goose Bay for several years. He competed in weightlifting, hockey and softball in earlier years. He had a great love of coaching, both in sport and at work. He also enjoyed golf, hunting and the outdoors. As accomplished as Paul’s brief life was, his greatest passion and devotion was for his family. Visitation has taken place at Country Haven Funeral Home 167 Country Road on Monday April 23, 2012 from 2-4 & 7-9 pm and on Tuesday April 24, 2012 from 10 to noon. Funeral service has taken place at First United Church, Park Street, on Tuesday April 24, 2012 at 2 pm, cremation to follow. As expressions of sympathy flowers are graciously accepted or donations may be made to a charity of one’s choice. The family guest book may be signed or memorial donations may be made by visiting the website at www.country-haven.ca.